Moncrief agreed Wednesday with the Steelers on a two-year contract, Adam Schefter of ESPN reports. Moncrief caught two of three targets for 21 yards during Sunday's loss at Houston to finish the season with 48 receptions for 668 yards and three touchdowns. Moncrief caught all four of his targets for 43 yards during Sunday's 17-7 win over Miami. Moncrief was unable to haul in either of his targets during Sunday's 16-13 loss to Washington. Moncrief brought in five of 10 targets for 47 yards in the Jaguars' 30-9 loss to the Titans on Thursday. Analysis: Moncrief continued to display solid rapport with Cody Kessler, and he's now compiled a total of eight receptions in the two games that the latter has been under center. Both the 25-year-old's reception and target totals were his best since Week 7 against the Texans, although he did see his streak without a touchdown reception extend to four games. 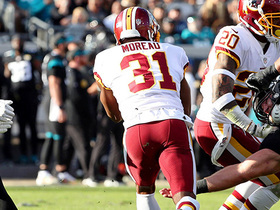 Moncrief will look to play an even bigger role when the Jaguars try to bounce back against the Redskins in a Week 15 interconference matchup. Moncrief caught three of four targets for 40 yards in Sunday's 6-0 win over the Colts. Moncrief caught one of his four targets for 29 yards in Sunday's 24-21 loss to the Bills. Analysis: Moncrief's lone catch came up just short of a touchdown, but it was nonetheless another disappointing afternoon. The 25-year-old now has one catch in each of the past two games for a total of 40 yards. 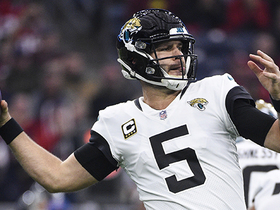 The Jaguars have benched QB Blake Bortles for Week 13, and new starter Cody Kessler can hardly be much worse for the team's anemic passing game. Moncrief caught just one of two targets for 11 yards in Sunday's 20-16 loss to the Steelers. Analysis: The entire Jaguars passing game was stuck in first gear, with quarterback Blake Bortles throwing for a modest 104 yards. Moncrief is the player to own in Jacksonville's receiving corps, but even he's prone to duds like this one. He'll try to bounce back against the Bills in Week 12. Moncrief caught three of four targets for 98 yards and a touchdown during Sunday's 29-26 loss to the Colts. Moncrief caught four of seven targets for 54 yards in Sunday's 24-18 loss to the Eagles in London. Analysis: Moncrief finished second in both targets and receiving yards to running back T.J. Yeldon. The former Colts wide receiver has emerged as the most consistent option in Jacksonville's passing game with over 50 yards in four of the last five games. Moncrief and the Jaguars will be on bye in Week 9. 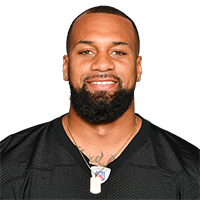 Moncrief will play Sunday against the Eagles despite having passport issues while traveling to London, Phillip Heilman of the Florida Times-Union reports. Analysis: Moncrief was unable to fly with the team but quickly resolved the issue and took a commercial flight to London on Friday morning. He's expected to assume his regular role Sunday despite not being able to log a normal practice with the team Friday. 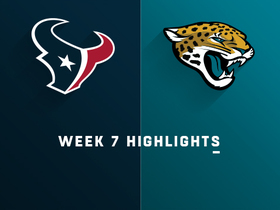 Moncrief caught seven of 10 targets for 76 yards in Sunday's 20-7 home loss to Houston. Moncrief had zero receptions on three targets in Sunday's 40-7 loss to the Cowboys. Analysis: Moncrief was invisible Sunday despite playing 79 percent of the offensive snaps, as the Jaguars ran only 48 offensive plays and QB Blake Bortles completed 15 of 26 passes for 149 yards. The Cowboys controlled the game from the start and the Jaguars were unable to get any sort of offense going, even in garbage time. Moncrief had 11 catches for 185 yards over the previous two games, but -- as illustrated by Sunday's outing -- is extremely difficult to trust on a week-to-week basis. Moncrief picked up 76 yards while catching six of 15 passes during Sunday's 30-14 loss to the Chiefs. Moncrief caught all five of his targets for 109 yards and a touchdown in Sunday's 31-12 win over the Jets. Analysis: Moncrief put this game away with a 67-yard touchdown to make it 25-3 in the third quarter, lulling cornerback Trumaine Johnson to sleep before blowing right by him. It seems like any combination of Moncrief, Keelan Cole (two catches for 15 yards) and Dede Westbrook (nine catches for 130 yards) is capable of stepping up in any given week. All three will have plenty of upside against a porous Chiefs secondary in Week 5. Moncrief caught two of three passes for 16 yards and lost a fumble in Sunday's 9-6 loss to the Titans. Analysis: Moncrief started the game nicely with a 13-yard reception on the third play from scrimmage but was barely involved the rest of the afternoon. 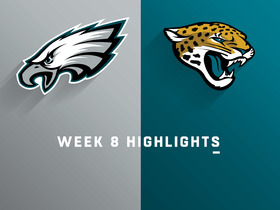 The fumble came at the end of the game as the Jaguars attempted to use laterals for a desperation score. Moncrief now has seven catches for 64 yards and a touchdown this season and is nearly impossible to trust in an inconsistent Jaguars passing attack. Moncrief caught four of a team-high nine targets for 34 yards and a touchdown in Sunday's 31-20 win over New England. Analysis: Moncrief got the scoring started with a four-yard touchdown on Jacksonville's first drive. He exited the contest with a knee injury, but was later able to return and drew one more target after checking back in. Keelan Cole has outplayed Moncrief to this point, but both have seen their fantasy stocks shoot up in the absence of Marqise Lee (knee). Moncrief is questionable to return to Sunday's game against the Patriots due to a knee injury, Zack Cox of NESN.com reports. Analysis: After diving (and failing) for a potential completion down the left sideline near the end of the third quarter, Moncrief came up limping and left the field. Compared with a one-catch showing in his Jags debut last Sunday, he has fared well Week 2, reeling in four of eight targets for 34 yards and a touchdown. If he fails to reenter the contest, his status may not be touched on again until the Jags post their first Week 3 injury report Wednesday. Moncrief caught just one of five targets for 14 yards in Sunday's 20-15, Week 1 win over the Giants. Analysis: No Jaguars player saw more than seven targets, but both Keelan Cole and Dede Westbrook were able to top 50 yards while Moncrief didn't seem to be on the same page with quarterback Blake Bortles. Owners looking for receiving help on the waiver wire should look at Cole and Westbrook before settling for Moncrief. Moncrief and Keelan Cole are listed as the starting wide receivers on the Jaguars' depth chart ahead of their Week 1 matchup with the Giants. With Marqise Lee (knee) set to be placed on IR, Moncrief is a candidate to see added snaps and targets this coming season, Phillip Heilman of The Florida Times-Union reports. Moncrief caught three of five targets for 62 yards during Saturday's preseason game against the Falcons. 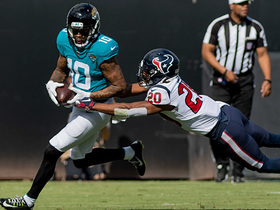 Analysis: Not only did Moncrief build upon his performance from last week, but he also stepped up as a primary receiving option after Marqise Lee left with a nasty knee injury. Lee, along with Keelan Cole, worked as one of the Jaguars' first-team receivers throughout the summer, so any absence could potentially vault Moncrief into a starting job. D.J. Chark and Dede Westbrook also wait in the wings, and both should be more significant figures in the offense if Lee misses time. Moncrief caught both of his targets for 23 yards during Saturday's 14-10 win over the Vikings. Analysis: Moncrief got most of his work in the first half and made a nice 15-yard connection with Blake Bortles during a 70-yard touchdown drive. The 25-year-old wideout made another grab for eight yards before calling it a day shortly after halftime. Moncrief has an opportunity to earn a large role in the offense, but he'll have plenty of competition for snaps and targets from Marqise Lee, Keelan Cole, Dede Westbrook and D.J. Chark. Moncrief is listed behind Marqise Lee, Keelan Cole, Dede Westbrook and D.J. 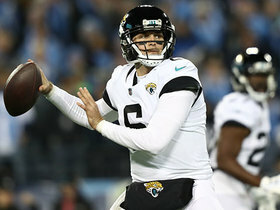 Chark on the Jaguars' unofficial preseason depth chart, Mike Kaye of FirstCoastNews.com reports. Moncrief (knee) rejoined the Jaguars at practice Friday, Mike Kaye of FirstCoastNews.com reports. Moncrief is actually dealing with a knee injury, not the ankle injury that was previously reported, Mike Kaye of FirstCoastNews.com reports. Analysis: Regardless of the details, Moncrief will miss a fourth straight day of practice Tuesday, though his injury isn't believed to be serious. With Marqise Lee (shoulder) also sidelined, Keelan Cole and Dede Westbrook figure to get heavy run with the first-team offense. Moncrief's one-year, $9.6 million contract makes him a strong bet for the No. 2 wide receiver job, but it isn't totally out of the question for Cole or Westbrook to make a push for the spot. Moncrief (ankle) is merely day-to-day, John Reid of The Florida Times-Union reports. Analysis: Moncrief injured his ankle Friday and still hasn't returned to practice, but the Jaguars expect him to be back soon. He's a strong favorite to lock down the starting job opposite Marqise Lee (shoulder), as the former Colt has $9.6 million guaranteed on his one-year contract. Keelan Cole and Dede Westbrook figure to run with the first-team offense Monday while Lee and Moncrief are sidelined. Moncrief left Friday's practice with an apparent ankle injury, Michael DiRocco of ESPN.com reports. 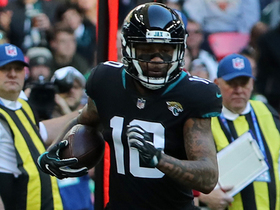 Analysis: Given the Jaguars' wealth of options at wide receiver, Moncrief might start feeling a little nervous if the injury holds him out for a significant portion of training camp. That said, the team didn't give him $9.6 million guaranteed just to watch him sit on the bench, so he should still have the inside track to a starting job across from Marqise Lee. The Jags likely will have Keelan Cole and/or Dede Westbrook fill in with the first-team offense in Moncrief's absence. Moncrief's one-year contract with the Jaguars includes $9.6 million guaranteed and another $2 million available via incentives, Adam Schefter of ESPN reports. Moncrief is in line to sign with the Jaguars, Adam Schefter of ESPN reports. Moncrief is drawing interest from multiple teams, including the Ravens, as he prepares to become a free agent, Jason La Canfora of CBS Sports reports. Moncrief seems unlikely to re-sign with the Colts, Zak Keefer of The Indianapolis Star reports. Moncrief's (ankle) future with the Colts is up in the air, according to Zak Keefer of the Indianapolis Star. Moncrief (ankle) is inactive for Sunday's game against Houston. Analysis: The 24-year-old wideout is eligible to become an unrestricted free agent this coming offseason, so he's likely played his last game for the Colts after a disappointing season. Chester Rogers should start opposite T.Y. Hilton with Moncrief out. Moncrief (ankle) is listed as questionable for Sunday's game against the Texans after practicing in a limited fashion all week. Analysis: Moncrief, who last suited up on Dec. 3, has a chance to play Sunday, but his production this season when healthy was sporadic, so he's not a high-percentage fantasy play in Week 17, in any case. The 24-year-old wideout is eligible to become an unrestricted free agent this coming offseason. Moncrief (ankle) practiced on a limited basis Wednesday. Moncrief (ankle) won't play Saturday against the Ravens, Kevin Bowen of 1070 The Fan Indianapolis reports. Analysis: Though Moncrief is now slated to miss his third straight game, coach Chuck Pagano noted Thursday that the wideout should return to practice next week, which would give him a chance to suit up for the Colts' season finale against the Texans. In Moncrief's absence this weekend, Chester Rogers and Kamar Aiken are in line to see added snaps while working behind T.Y. Hilton, whose 90 targets (in 14 games) are tops among the team's wideouts. Moncrief (ankle) was held out of practice Thursday, Kevin Bowen of 1070 The Fan Indianapolis reports. Moncrief (ankle) remained sidelined at practice Wednesday, Kevin Bowen of 1070 The Fan Indianapolis reports. Moncrief (ankle) didn't take part in Tuesday's practice. Analysis: With the Colts having played Thursday night in the Week 15 loss to the Broncos, it's not the most encouraging sign that Moncrief wasn't on the field for the first day of practice this week, despite getting extra time to recover. The wideout may need to turn in a pair of limited practices or at least one full practice Wednesday or Thursday to have a realistic shot of playing Saturday against the Ravens. Moncrief (ankle) has been ruled out for Thursday's game against the Broncos. Analysis: As head coach Chuck Pagano hinted earlier this week, Moncrief will miss his second straight contest with the ankle injury, with the Colts' quick turnaround between games not offering the wideout enough time to heal up. Pagano expressed optimism that Moncrief might be able to play Week 16 against the Ravens, but with only two outings of more than 60 receiving yards on his 2017 ledger, the fourth-year player doesn't make for an especially enticing option during the fantasy playoffs. Head coach Chuck Pagano said Tuesday that he expects Moncrief (ankle) to return next week, Mike Chappell of Fox 59 News reports. Analysis: Moncrief was listed as a non-participant in Monday's practice report, and he looks to be trending toward being inactive again for Thursday's game against the Broncos. Given the short week, this isn't too surprising, but it appears the extra week off will serve the wideout well. Expect Moncrief to make his return to the practice field next week in preparation for Week 16. Moncrief (ankle) was listed as a non-participant on Monday's injury report. Analysis: Moncrief has been out of commission since injuring his ankle in Week 12, though it isn't clear if Indianapolis actually held practice Monday. With the Colts playing on Thursday, Moncrief will likely need to participate in some fashion Tuesday or Wednesday in order to gain clearance. Moncrief (ankle) is inactive for Sunday's game against Buffalo, Bob Kravitz of WTHR TV reports. Analysis: Unable to practice in any capacity this week, Moncrief will be sidelined for the first time this season. His absence leaves extra snaps and a few more targets available for depth wideouts Chester Rogers and Kamar Aiken. Moncrief (ankle) won't play in Sunday's game against the Bills, Zak Keefer of The Indianapolis Star reports. Moncrief (ankle) was not spotted at Friday's practice, according to Zak Keefer of The Indianapolis Star. Analysis: Moncrief had his most active game in weeks in the Colts' Week 13 loss to the Jaguars, but he has not practiced at all since, so it does not appear he will get a chance to back up that performance. Moncrief's official status for Week 14 will be revealed after Friday's practice comes to a close. Moncrief (ankle) didn't practice Thursday. Moncrief isn't participating in Wednesday's practice due to an ankle injury and is considered day-to-day, Kevin Bowen of 1070 The Fan Indianapolis reports. Moncrief (groin) turned eight targets into five catches for 37 yards in Sunday's 30-10 loss to Jacksonville. Analysis: Moncrief led his team in catches and targets, but was still quiet as expected against the league's stingiest pass defense. The fourth-year wide receiver has missed injured quarterback Andrew Luck (shoulder) as much as anyone, hauling in just two touchdowns in 12 games this season after catching seven last season. Moncrief (groin) is active for Sunday's game against Jacksonville, Mike Wells of ESPN.com reports. Analysis: Moncrief was listed as a full practice participant Friday, so this injury may not be a big concern. However, the wideout's modest production of late -- coupled with a tough matchup -- makes Moncrief a rather unappealing option for Week 13 fantasy lineups. Moncrief (groin) is listed as questionable for Sunday's game against the Jaguars. Analysis: Moncrief was listed as a full practice participant Friday, but given that he's the only player the Colts list as questionable this week, it appears that he's no lock to be active Sunday. Either way, the wideout's modest production of late -- coupled with a tough matchup -- makes Moncrief a rather unappealing option for Week 13 fantasy lineups. Moncrief was added to the Colts' Week 13 injury report after being limited by a groin injury Thursday. Analysis: Moncrief's addition to the injury report makes his status for Sunday's game against the Jaguars worth tracking, but given that he's averaging just one catch per game over his last five outings, the Colts' starting wideout is not a high-percentage fantasy option these days. Moncrief had just one reception for 16 yards on three targets in Sunday's loss to Tennessee. Analysis: Moncrief had a 60-yard touchdown the game before, but it didn't translate to more targets or success. Moncrief again appeared to not fight for balls he should have grabbed and had the third most targets among wide receivers despite playing the second most snaps (60) on offense. It seems odd the Colts continue to give him more playing time as an impending free agent over other receivers who could be in their 2018 plans. Moncrief brought in his only target for a 60-yard touchdown in Sunday's 20-17 loss to the Steelers. Moncrief had one reception for seven yards on two targets in Sunday's win at Houston. Analysis: Moncrief had the second most playing time of any Colts receiver (50 snaps), but failed to produce and had a drop. With Moncrief in the final year of his contract and unlikely to return, it's possible the Colts decrease his playing time in the second half to evaluate other receivers. Jacksonville Jaguars quarterback Cody Kessler throws a 10-yard pass to wide receiver Donte Moncrief. 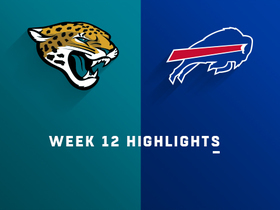 Watch as the Jacksonville Jaguars take on the Buffalo Bills in Week 12. 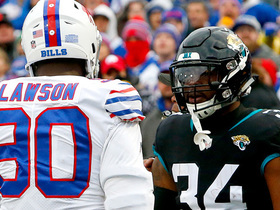 Jacksonville Jaguars running back Leonard Fournette and Buffalo Bills defensive end Shaq Lawson are ejected for a scuffle after Jaguars wide reciver Donte Moncrief's 30-yard catch. Jacksonville Jaguars wide receiver Donte Moncrief breaks through tackles from the Indianapolis Colts defense for an 80-yard touchdown. Jacksonville Jaguars wide receiver Donte Moncrief brings down a 24-yard pass from quarterback Blake Bortles.